While perusing the Tudor-net I came across a link to Victoria and Albert Museum in London. The link brings you to a mostly white page with red accents and… oh yeah, a sketch by Hans Holbein the Younger that might also be Thomas Seymour. This portrait is of a man who is bare-headed, has a fairly neat beard and is wearing a fur collar. The museum states the sketch was made from 1535-1540. In my opinion we can narrow that down even further. When Thomas’ sister Jane married the King of England his status changed immediately, and because of that I can confidently say that the earliest date for this sketch would be 1536. In 1536, Seymour would have been roughly 30 years old. To me, the sitter of the sketch looks like he could be around that age. 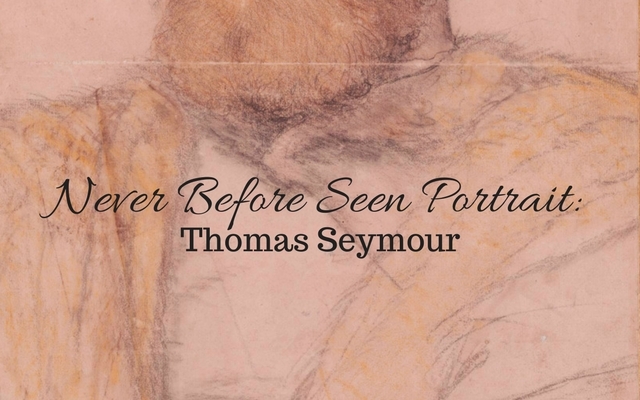 We know Thomas Seymour had a beard and mustache, so that matches…but in all his other known portraits he is wearing a hat — appears to be the same hat in each portrait. The pin on his hat is for his ‘membership’ in the Order of the Garter. Could this be Thomas? If the oldest date that this could have been sketched was 1540, that would mean that King Henry VIII was still alive, and with that, Seymour had not yet been made a baron or Lord High Admiral. 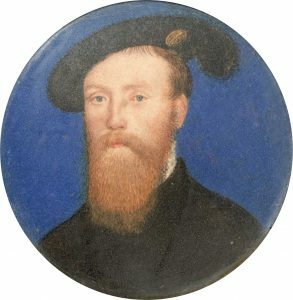 In 1547 Thomas Seymour was made Knight of the Garter. Is this how a knight, and brother-in-law to the King would dress? In my opinion, most definitely. 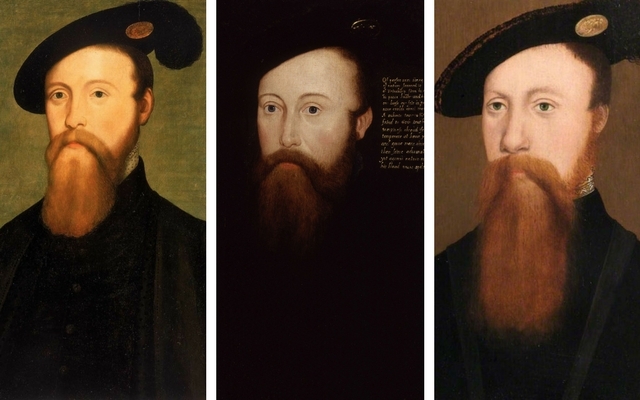 All of the current portraits we know of Thomas Seymour all having him wearing black, and the same black plumed hat with the Garter pin. 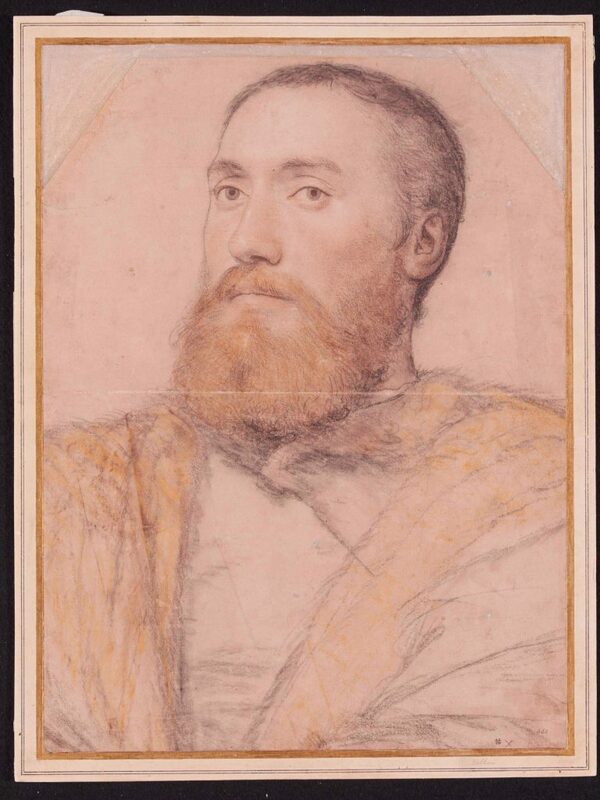 DO YOU BELIEVE THE SITTER COULD BE THOMAS SEYMOUR? Love this website and its content? Feel free to send a secure donation to help keep up with the operating costs. THANK YOU!